WASHINGTON—America’s infrastructure bill is long overdue, and there is strong bipartisan support to fix the nation’s “crumbling” highways, bridges, and ports. However, business leaders have slammed the Democrats’ plan to roll back tax reform to pay for it. “Pulling back from tax reform to fund infrastructure is a one-step-forward, one-step-back dance,” U.S. Chamber of Commerce President and CEO Thomas Donohue said at the 2019 Infrastructure Summit hosted by the organization on Feb. 5. During his State of the Union address, President Donald Trump signaled that infrastructure would be a key focus this year. Senate Minority Leader Chuck Schumer (D-N.Y.) called for “massive” spending on renewable energy in December last year, as a condition for approving Trump’s infrastructure plan. He said that his proposed plan could be fully financed by repealing some of the corporate and individual tax cuts passed in 2017. Donohue argues that there are better funding options to choose from. “The chamber has long believed that a modest increase to the federal vehicle fuel user fee is an obvious starting point,” he said. Congress hasn’t raised the federal gas tax in 26 years, and inflation has eroded the value of the user fee by 40 percent. Fuel taxes mostly go into the Highway Trust Fund, and the fund now faces a shortfall of $138 billion over the next 10 years, said Donohue. 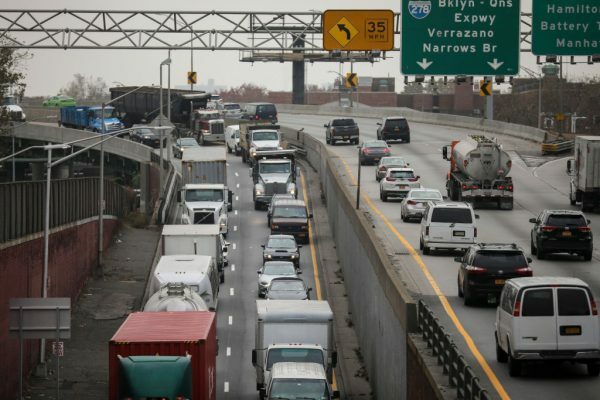 The organization calls on Congress to raise the gas tax by 25 cents, which would help generate $394 billion over the next decade to modernize roads, bridges and transit systems. Last year, Trump also signaled “openness” to all potential revenue sources. Rebuilding big projects and critical infrastructure such as airports, ports, waterways, dams, and rail systems require multifaceted and innovative funding mechanism, according to the organization. To make it simpler and more appealing for the private sector to participate in infrastructure projects, the organization urges Congress to take several actions, which include strengthening and expanding federal loan programs and removing regulatory barriers to public-private partnerships. Trump has been focusing on an infrastructure overhaul since the start of his presidency. He called on Congress last year to produce a bill that generates at least $1.5 trillion for new infrastructure investment. He also signed an executive order to speed up the environmental review and permitting process for infrastructure projects. The order aims to fix the fragmented approval system and shorten the time for processing approval documents. Congress now has to codify these changes into law, said Donohue. Total investment in infrastructure has fallen as a share of the gross domestic product in the last few decades. 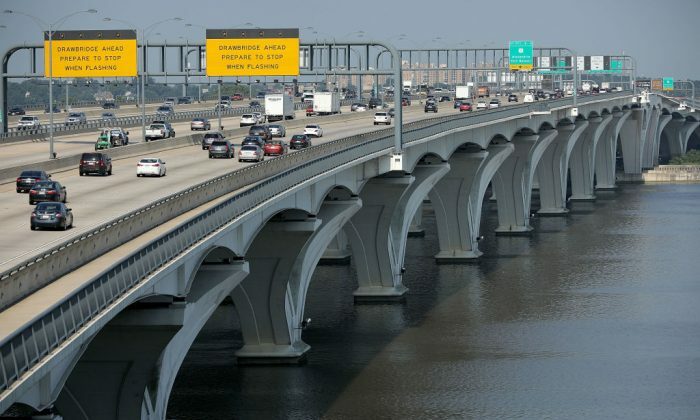 As a result, 44 percent of major roads are in poor or mediocre condition, 9 percent of American bridges are structurally deficient, and 45 percent of major urban interstates face congestion during peak hours. Traffic gridlock costs American motorists $170 billion a year in wasted time and fuel costs. Infrastructure is the backbone of the U.S. economy and underinvestment negatively impacts the bottom line of American companies of every size. Failing infrastructure will cost businesses $7 trillion by 2025 and destroy 2.5 million U.S. jobs, according to the American Society of Civil Engineers. And failure to close the infrastructure gap results in a loss of business productivity, a slowdown in economic growth, and a loss of jobs.